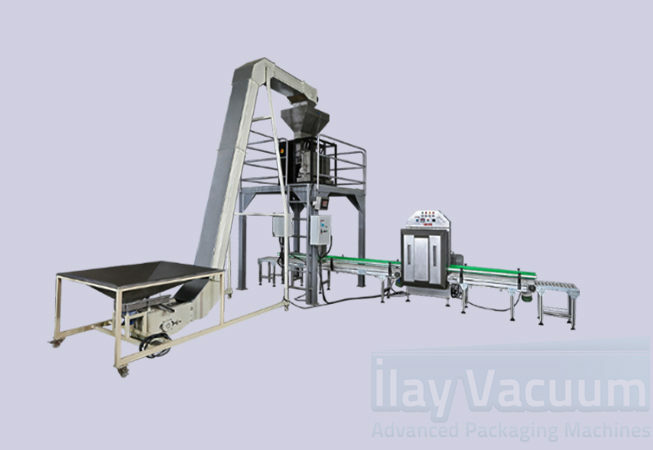 IL95 is an open type (chamber-free) vacuum packaging machine that packs the products automatically. In the range of 5-50 kgs, nuts, peanuts, nuts such as nuts, nuts, beans, chickpeas, peas, lentils, such as legumes, the agriculture and field crops in general, walnuts, hazelnuts, peanuts, macadamia, pecan, shell nuts, coffee beans, cashews, almonds, can be vacuum packaged in an average of 3-6 tons per hour. Our model can be combined optionally with your pre-installed conveyours, filling unit, transfer robot, packaging and vacuum Machines. The model has modular conveyours and the conveyour bands. The System has patent protection and fully food conformed. 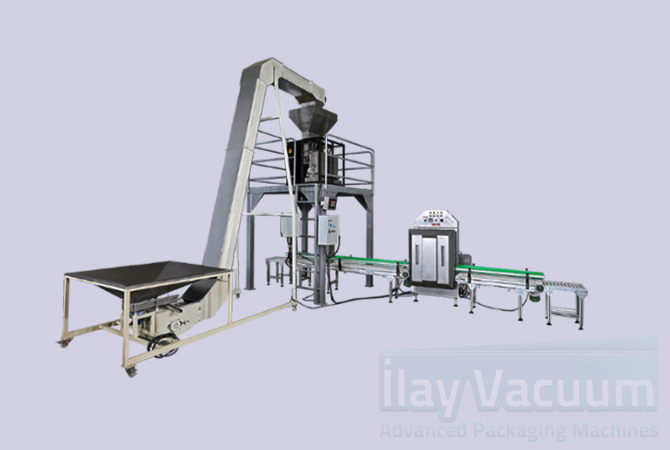 Automatic vacuums bring many advantages such as shorter time of operation and less operators. Additionally the automatic system saves time for loading-unloading the products.